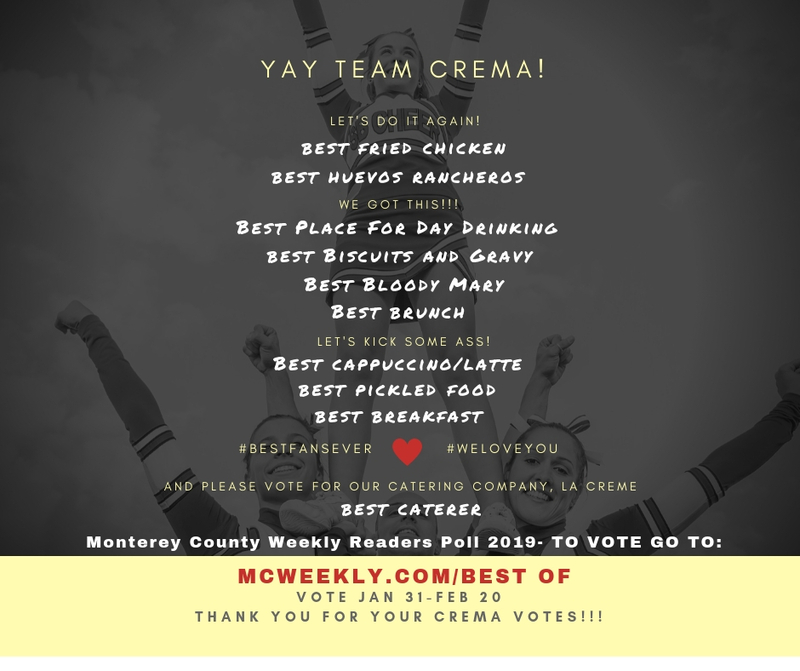 Crema Pacific Grove | Crema Nominated in 10 Categories in the Monterey County Weekly Best Of 2019 Awards! Thanks to YOU we have been nominated in 10 categories in the Monterey County Weekly Best Of 2019 Awards, including Best Caterer for our sister company, La Creme Monterey! Visit www.montereycountyweekly.com/best of and cast your votes today!